Case Study: Drone Video Communications System in Daitoh Electric Construction｜Implementation Case Study｜SENSYN ROBOTICS, Inc. Implementing VRJ drone video communications system has allowed us to check power transmission lines in high places from various angles. The high-performance cameras produce clear images, which also enable us to do the checking remotely. 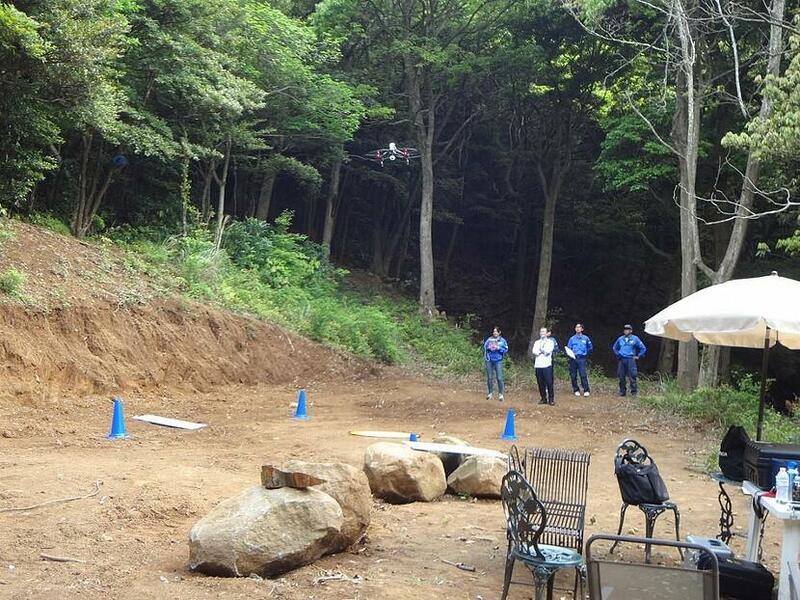 We were able to prove during emergency drills that it is possible to grasp the situation at sites by flying the drones and connecting them to the sites in several locations in real time. We also conduct proof-of-concept in preparation for entering into a disaster prevention agreement with municipals, which is an advanced effort in this industry. Electricity is essential for us to lead our daily life comfortably. The electricity generated in far-away power plants is delivered to businesses and homes after passing through various electric power facilities. In its long journey, the electricity passes through a facility called "power transmission line" that connects power plants to substations and substations to substations. This power transmission line is something that should be considered as the main artery of electricity since it effeciently delivers a large amount of electricity at high voltage. As a group of specialists in power transmission line construction, Daitoh Electric Construction has been providing complete technical services from feasibility study, design, location survey, and construction to maintenance inspection and construction work. Driven by our social mission to increase power interchange and provide reliable power supply without interruption 24 hours a day throughout the year, we have built power transmission lines and performed maintenance inspections in various construction environments, from rugged mountain areas to densely populated areas. At Daitoh Electric Construction, we are proud of our performance and history going back more than 50 years since we were first established in 1962. Now, backed by the overwhelming trust and extensive performance we have built with our customers so far, we are exploring a multitude of possibilities in power transmission line industry with the implementation of drone video transmission system provided by V-Cube Robotics in our sites. We implemented real time video communications services provided by V-Cube Robotics in order to achieve both the sharing of high quality remote drone images between sites, HQ, and clients, and the highly accurate communication between drone operators and managers. We also thought of using the communications services for quick decision making when and if disaster strikes by sharing aerial photography data of the disaster sites among relevant authorities, in addition to transmission from remote locations for normal overhead power line inspections. What's more, by implementing a new initiative called drones on top of the history and trust we have built over the past 50 years or more, we are performing maintenance inspection with a long term vision that anticipates maintenance and management for the next 10 or 20 years through improvement in work safety and efficiency. How do we effectively maintain and manage the main artery of electricity under our social mission to increase power interchange and provide reliable power supply 24 hours a day throughout the year? 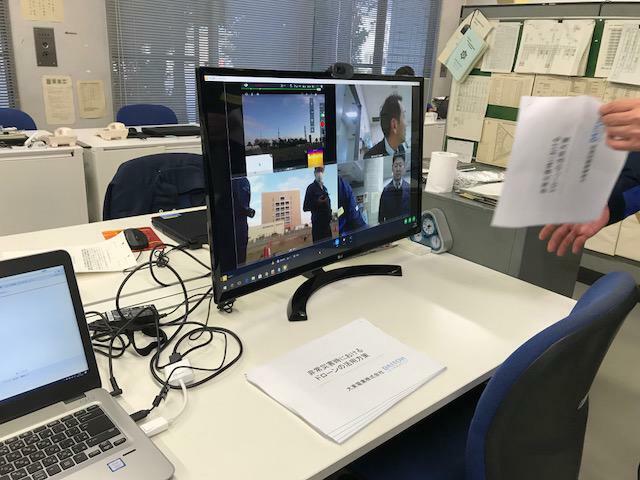 We believe that we are now able to develop new potentials in the power transmission line industry by implementing in our sites the video communications services provided by V-Cube Robotics. 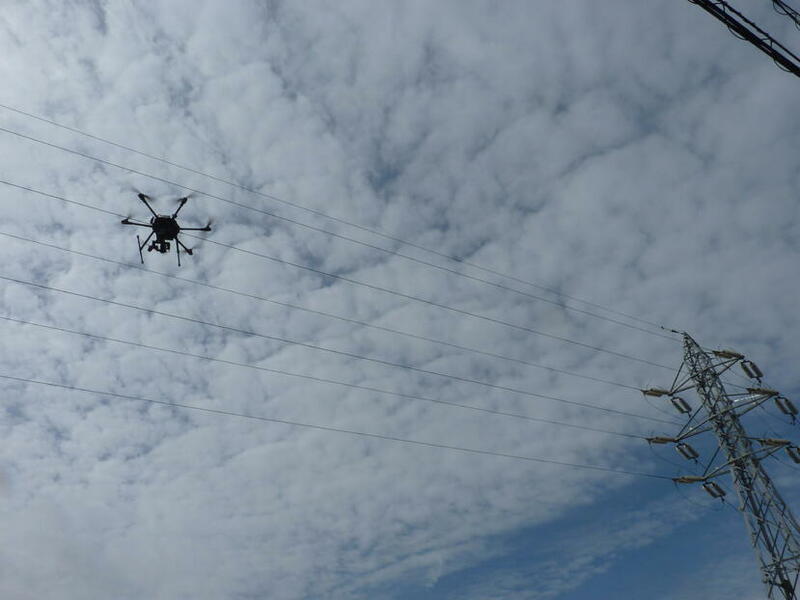 Until now, we have considered several times about implementing drones in our power transmission line inspection sites. However, we were unable to decide on the actual implementation since we do not know where we should start, from selecting drones to how to actually operate the drones. Which is why we are grateful to V-Cube Robotics who provide us with one-stop support from training on flying drones to after sales maintenance of the drones, as well as for the full cooperation they gave when we implemented drone solutions at our sites. We are thinking that in the future, we want to consider taking up the challenges not only in power transmission line inspection, but also in various other areas. Currently, seven of our employees are licensed pilots certified by the Civil Aviation Bureau and two of them are women. We will continue to train our pilots to be consciously thinking matters through and capable of dealing with the matters promptly across the barrier of non-clerical, management, and office work. To achieve this, we joined hands with the reliable V-Cube Robotics as an indispensable partner and continue to explore new potentials in the power transmission line industry and in other new businesses.